Whether you’re a beginner or an expert, if you have a passion for being active come join like minded other singles for Fitness Speed Dating in Brisbane, Canberra, Sydney, Newcastle, Melbourne, Adelaide, Hobart, Sunshine Coast & Gold Coast. How great is it when your partner shares the same values as you? That’s what Fitness Dating events are all about. We understand the importance of being dynamic in your life. Our cosy atmosphere will help you find the fitness date to match your lifestyle. You are guaranteed to go on ‘mini dates’ with everyone who attends. By keeping strict numbers on our attendees, we are able to ensure quality guests. After you have your date, just tick your date card and your details will be given to your mutual match. CONTACT US once the event has sold out for the reserve list. It’s not uncommon for last min cancellations. 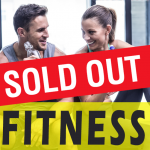 Don’t want to wait for that?REGISTER your details and you will get invites first to our Fitness Singles & Fitness Speed Dating events.